Support the BMI – Help us inspire tomorrow’s workers by ensuring that the stories of the laborers and entrepreneurs who built our city are preserved for future generations. Consider making a gift to one of the following special funds or click the button below to support our general operating fund. The Ray Loomis Linotype Fund was established in honor of veteran Linotype operator and beloved BMI volunteer Ray Loomis. 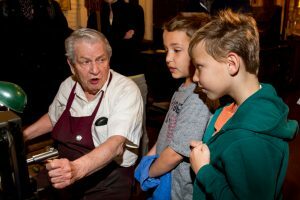 Every Saturday, Ray brings the historic Linotype machine to life regaling visitors with his memories as a Linotype operator and discusses Ottmar Mergenthaler’s invention in his Baltimore workshop in the 1880s, launching a printing boom unmatched in history. Your gift will help keep this remarkable machine in sound working order for years to come—and that Ray can continue to delight visitors. Named in honor of the late congresswoman and BMI board member—who got her start as the nation’s first female maritime reporter—and established with a generous gift from her estate, this charitable fund seeks to heighten awareness of the Port of Baltimore through the enrichment of the BMI’s educational and exhibition programs and the care of its historical collections. 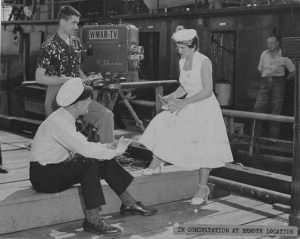 Your gift will ensure that the BMI continues to raise awareness of Baltimore’s unique maritime and industrial heritage for many years to come. 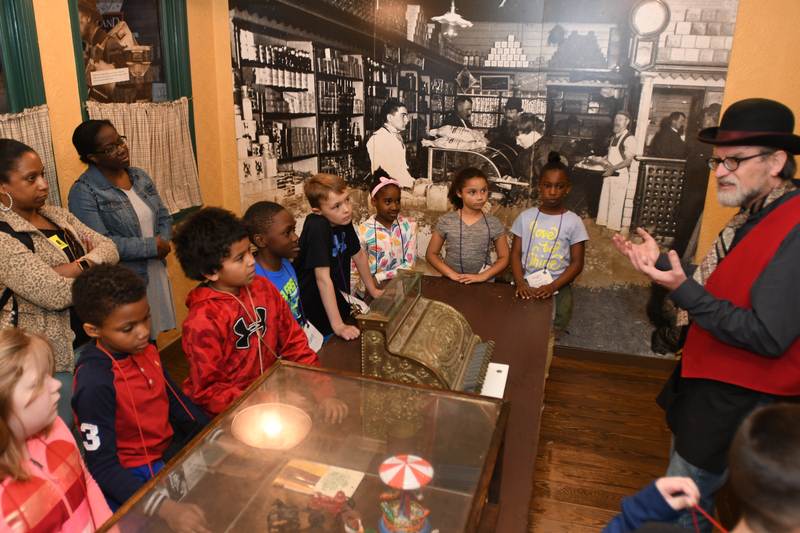 Each year, tens of thousands of eager young minds take advantage of the opportunities provided by the BMI as they learn about Baltimore’s unique past and curiously reimagine its future. 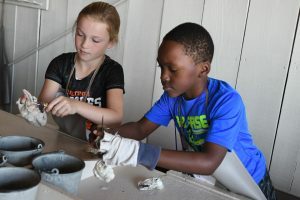 Unfortunately, many schools in our community lack the funding for field trips, not to mention the essential educational enrichment that programs like the Kids’ Cannery offers. Your gift underwrites the materials, staffing, and admission subsidies that help make our programs so impactful. Inspired by the ever-accelerating pace of change in modern telecommunications technology, the Baltimore Museum of Industry is planning a dynamic new exhibition in our Communications Gallery. 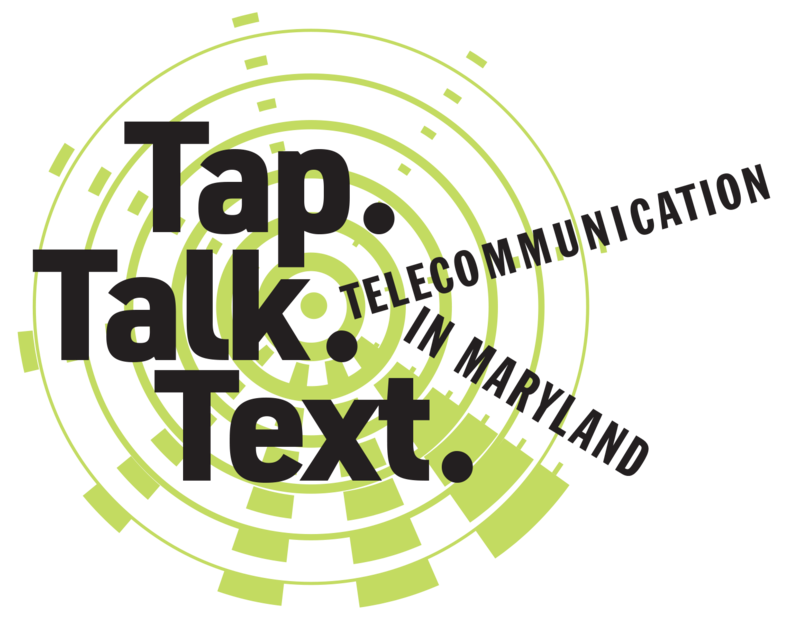 Tap, Text, Talk, a hands-on exploration of the evolution of telecommunication in Maryland, will encourage visitors to think about the role of smart-phone technology in their present day lives and to ponder what future innovations will drive the industry into new frontiers. Our collections highlight the contributions of American innovators, past and present, whose enterprises have transformed our society. 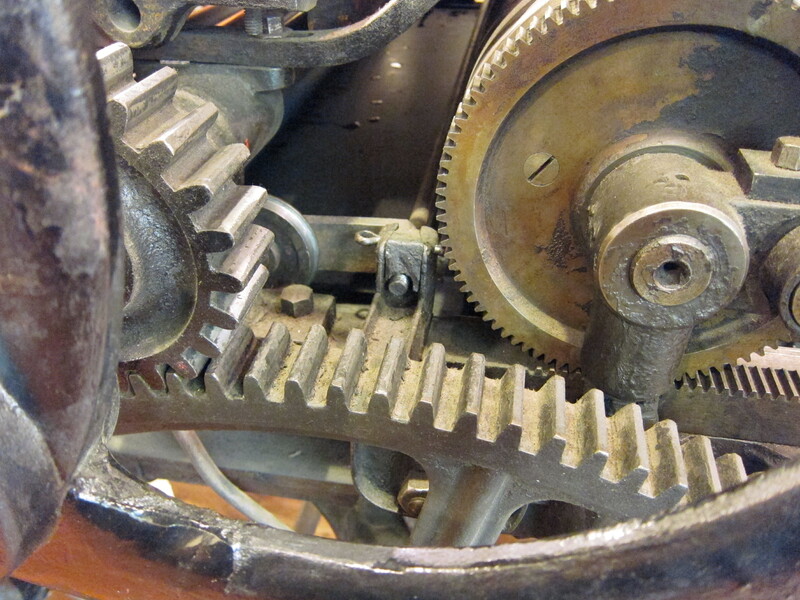 Often the only surviving remnants of once thriving industries that no longer exist, these objects need constant care and maintenance so that they can continue to delight and educate audiences. Your gift ensures the future of our amazing collections and allows the stories of these businesses and workers to live on. The 100-foot-tall 1942 crane that graces the museum entrance is a historically rich beacon of progress. Yet to many who pass by, it’s a large, weathered structure without a story. With your help, this storied crane will live up to its legacy as a proud shining symbol of Baltimore, a warm welcome to the Inner Harbor, and an awe-inspiring gateway to the BMI experience. 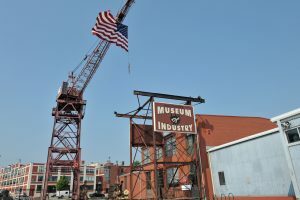 There are many ways to support the Baltimore Museum of Industry, a registered 501(c)(3) nonprofit organization. In addition to cash donations, which may be pledged by check or credit card, the BMI also gladly accepts gifts of stock, planned or deferred contributions, and in-kind services. To discuss your giving options, please contact Deborah Cardin at giving@thebmi.org or 410.727.4808 ext. 129. To learn more about donating artifacts to the museum’s collection, please click here. Deepen the impact of your gift through planned giving. By including a bequest provision to the BMI in your will, you can help ensure that we can continue to educate audiences about Maryland’s industrial heritage for years to come. A member of our staff is happy to talk to provide you with more details. For more information, please contact Deborah Cardin at (410) 783-8541 x129 / giving@thebmi.org.